Before President Abraham Lincoln signed the Emancipation Declaration, America experienced the first mass emancipation in 1775, thanks to one John Murray, Earl of Dunmore who was the royal governor in Virginia. Dunmore set to emancipate black slaves but on one condition: they had to fight for the British. The move by Dunmore came as a response to Patriot militia that was attacking British troops. He had tried a number of moves to keep the militia away, including threatening to free all slaves but the Americans kept advancing. He had even ordered the gunpowder from Williamsburg to be taken to a Royal Navy ship, a move that angered the Virginians, who claimed the gunpowder as their and not owned by the Crown. Angered by this announcement, Dunmore stated that he would fight the Virginians. The news spread and many slaves offered their services to protect him as governor. The move only made the slave owners angry, escalating the protests in the region. Dunmore quickly fled Williamsburg and took refuge aboard the frigate HMS Fowey, where he replenished his troops and invited the slaves to join him. His escape to the frigate was seen as his resignation and he had to do something fast to maintain his power. He wrote a proclamation that instituted martial law in Virginia and required that everyone capable to pick up arms and defend the crown. The proclamation was dated November 7, 1775. Quite a number of enslaved Africans and their families joined Dunmore, who then set up a regiment called the Ethiopian Regiment, which fought and defeated the patriot forces, only to die of disease and attacks. A high number of soldiers in this regiment died of smallpox, which ravaged the country between 1775 and 1782. One of the popular volunteers to the regiment was Colonel Tye, born Titus Cornelius in New Jersey. He escaped from his master, John Corlies, a day after Dunmore’s proclamation. 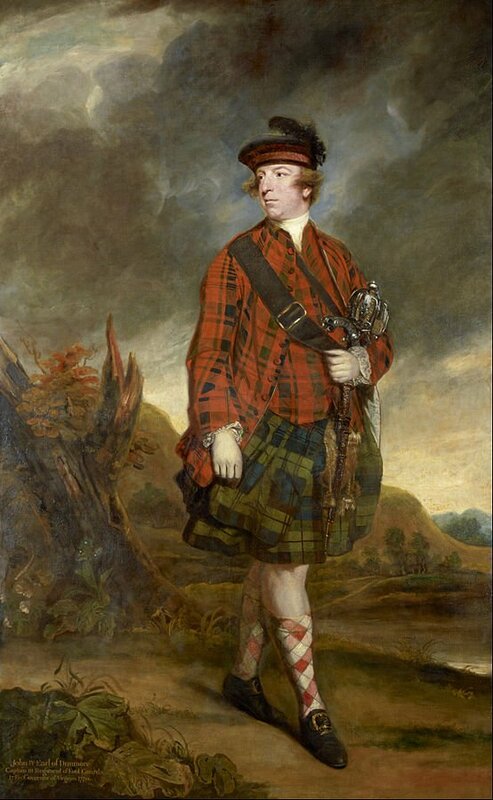 He would fight for the British Crown until 1780 when he died of gangrene and lockjaw. Although it was the first mass emancipation, it was not a humanitarian one. It was a strategic move by Dunmore who had indicated three years earlier that the slaves would rise against the masters. 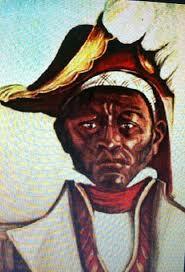 He put himself as the pivotal person to give the enslaved Africans the opportunity to avenge themselves. For many slaves, this opportunity provided them with a chance at freedom and not revenge. About 300 of these slaves would leave with Dunmore when he left Virginia in 1776. 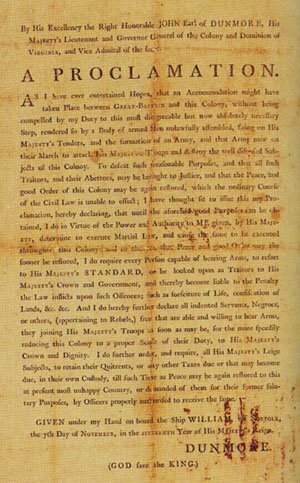 Unlike Dunmore, Sir Henry Clinton issued the Philipsburg Proclamation in 1779, which granted freedom to all slaves without the need to join the British Royal Forces. It also offered protection to the slaves who ran away from their masters. 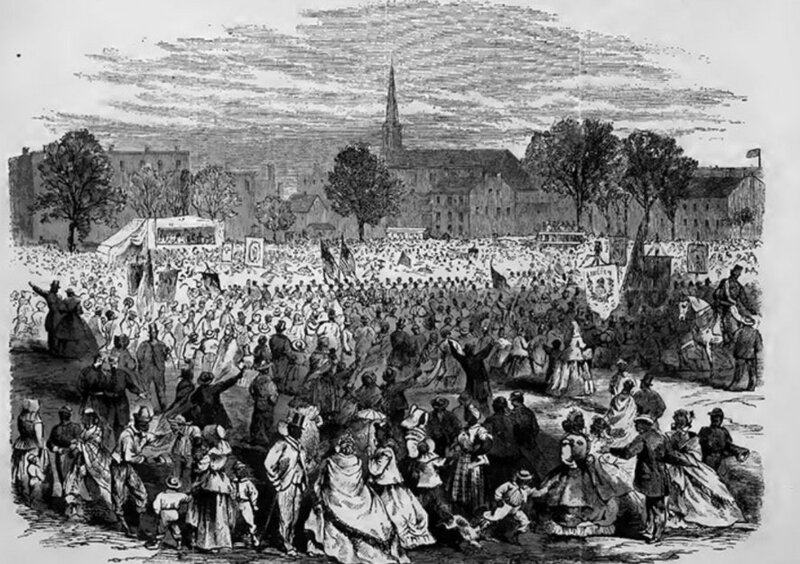 The proclamation was successful as more than 5000 slaves escaped from their masters. At the end of the Revolutionary War, 3000 of these slaves were taken to Nova Scotia and later to Sierra Leone, where they established Freetown. Both proclamations are now seen as a desperate move by the British ahead of the Revolutionary War. It was also seen as a push for the British Empire to abolish slavery in 1833. For the enslaved Africans still in America, emancipation would only come in 1863.